ASUS is working on four X79 motherboard series; the mainstream P9X79 series, the longer warrantied and rugged TUF series (Sabertooth X79), the ROG series (Rampage IV Extreme) and the P9X79 WS for workstation users. 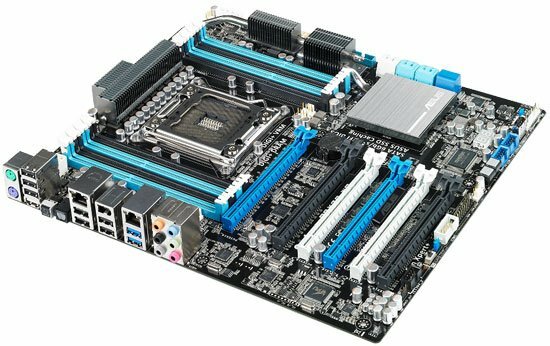 Legit Reviews has photos of each motherboard, you can check it out over here. 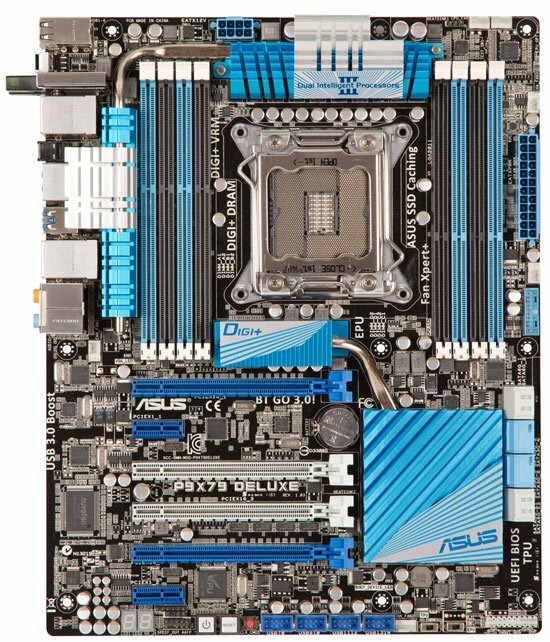 ASUS will be launching the ASUS P9X79 Pro and the P9X79 Deluxe as the entry level boards for the Intel X79 chipset. These boards feature the standard 3-year warranty and are aimed at mainstream users that want an even combination of performance, enhanced flexibility and good system control. This series offers an update to ASUS’ award winning UEFI graphical user interface for system options and the next-generation Dual Intelligent Processors 3 architecture, featuring the latest DIGI+ Power and new Digi+ DRAM technology. ASUS’ exclusive Digi+ technology offers the industry’s leading all-digital power control design that older analog solutions cannot match in performance, stability and control options. 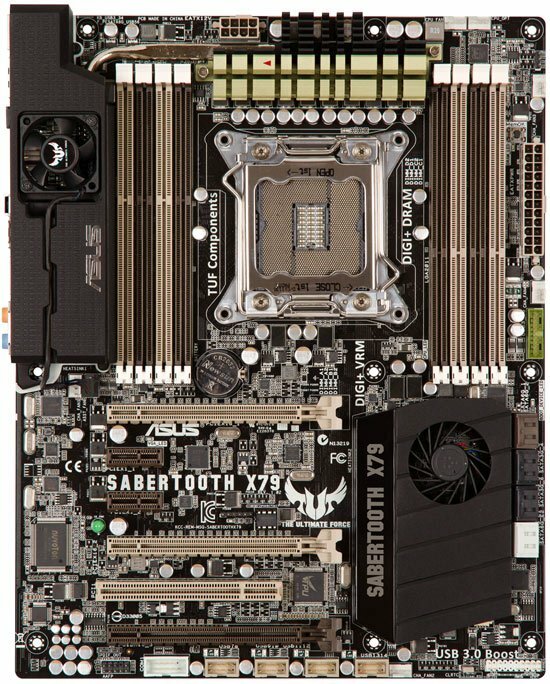 Next is the Sabertooth X79, this mainboard is codenamed "TANK" due to how well this board is made. The new board features an optional fan and some plastic molding around the rear I/O panel to help direct hot air away from some of the boards components. The board features twelve embedded smart real-time temperature reading sensors that detect heat levels across the board. This allows the BIOS to adjust the fan speed as needed to prevent overheating.